On the 22nd of March 2019 Piret Raud presents her new Picture Book published by Thames & Hudson at the Leipzig Book Fair. The event takes place at 11am in Kinderforum (Lesebude 1: Halle 2, Stand 410/G411). One morning, the Ear wakes up. Something is completely out of the ordinary: she’s all alone. Where is the head on whom she’s lived her entire life? How should she carry on? 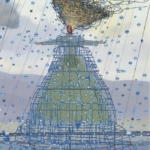 The world is so big and I’m so alone, she mourns, confused and utterly headless! What good is an ear without a head? she sobs. Without a head, I’m no one! But then, the Ear hears a croak. Is it someone who might need her? 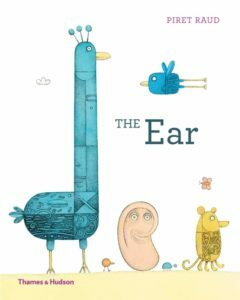 Piret Raud’s picture book The Ear is inspired by the life of Vincent van Gogh. The beloved poet Contra will introduce his newly translated children’s poetry collection Everyone’s the Smartest to the audience in the UK at the end of March. The book was published in English by The Emma Press. The Author will introduce his book on the 23rd of March during the Bournville BookFest, which is a book festival dedicated to children’s literature. The performance will be bilingual and his poems will be recited both in English and in Estonian. On March 24th Contra will also visit the Estonian School Keelekindlus and on March 25th and 26th he will meet the students of Anglesey Primary School and Somerville Primary School. Additionally, the author will perform in the Burton Library and in the Macdonald Burlington Hotel. 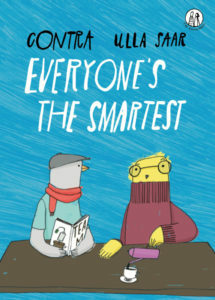 Everyone’s the Smartest is the first book by Contra that has been translated into a foreign language. The poems were translated into English by Charlotte Geater, Kätlin Kaldmaa and Richard O’Brien. Illustrations are made by Ulla Saar. In 2020 the book will also be published by the Latvian publishing house Liels Un Mazs. 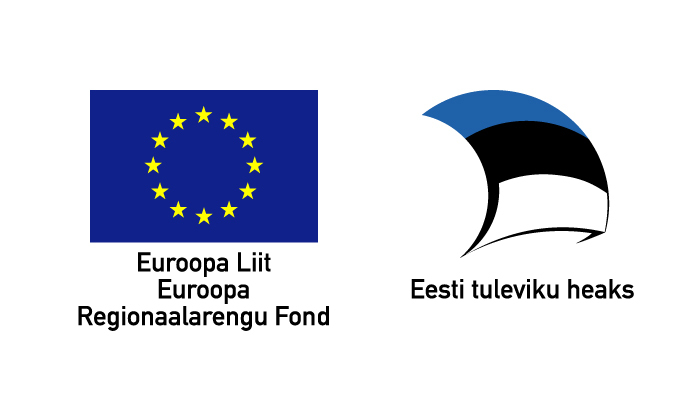 Contra’s performances in the UK are supported by the Estonian Cultural Endowment. On Thursday, the 7th of February 2019 the Estonian government approved the recipients of the National Lifetime Achievement Award for Culture. The award for her long-term distinguished activity as a children’s writer and poet was given to Leelo Tungal. Leelo Tungal (1947) is a beloved poet, children’s writer and translator. She has written more than 80 books of prose and poetry for children and young adults. 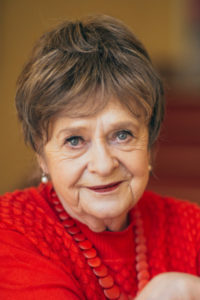 Tungal has received a multitude of honours and awards, including the IBBY Honour List in 2010, the Cultural Endowment of Estonia’s Award for Children’s Literature in 1997, the Karl Eduard Sööt Children’s Poetry Award in 1995, 2000 and 2007, and the Nukits Competition in 1992, 1994 and 2006. Her works feature optimism, direct communication with the reader, fluid storytelling, and witty storytelling. The National Lifetime Achievement Award for Culture is presented for outstanding long-term creative activity. Three lifetime achievement awards for culture are presented each year. The awards will be given out on the 24th of February. On Wednesday, the 6th of February 2019, the best designed Estonian children’s books of 2018 were announced at the National Library of Estonia. The jury valued high quality illustrations, as well as design, typography, and the appropriate choice of material. The chosen books can be seen until the 26th of February in the National Library of Estonia. The books will also be exhibited at the Bologna Book Fair 2019. The competition of the best designed Estonian books has taken place since 1998. It is organised by the Estonian Graphic Designers Association, the Estonian Publishers’ Association, the Estonian Children’s Literature Centre, the National Library of Estonia, and the Association of Estonian Printing Industry. From the 9th of December until the 6th of January 2019 the Gdańsk Shakespeare Theatre presents the exhibition “Once Upon a Time”. 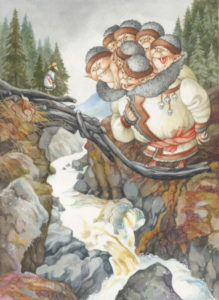 Works by well known Estonian illustrators thematise internationally known fairy tales by the brothers Grimm. In the exhibition, 20 Estonian artists participate with 59 works: Sveta Aleksejeva, Anu Kalm, Kristi Kangilaski, Kadi Kurema, Anne Linnamägi, Regina Lukk-Toompere, Ülle Meister, Tiia Mets, Jüri Mildeberg, Piret Mildeberg, Gerda Märtens, Viive Noor, Juss Piho, Anne Pikkov, Ulla Saar, Kertu Sillaste, Catherine Zarip, Tiina Mariam Reinsalu, Maarja Vannas-Raid and Urmas Viik. „Once Upon a Time…“ is an extraordinary exhibition that travelled around Italy for two years in 2015-2016. In 2017, the exhibition was shown in the Estonian Children`s Literature Centre in Tallinn and in the Art Gallery of the University of Culture in Minsk. Since 2018, the exhibition has been travelling around Poland. 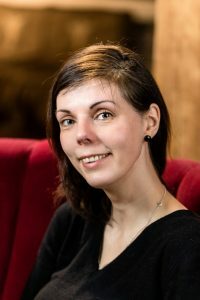 On the 6th of December 2018, the Estonian Children’s Literature Centre announced the winner of The Raisin of The Year for the most extraordinary children`s book of 2018. 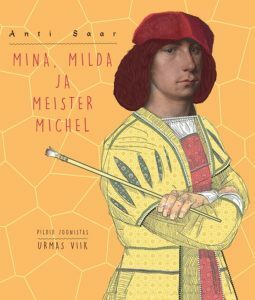 The jury, which consists of Estonian Children’s Literature Centre’s employees, chose Anti Saar’s book Mina, Milda ja meister Michel (Me, Milda and Master Michel, Eesti Kunstimuuseum). The Raisin of the Year Award has been given out every year since 2004. It is meant to give recognition for a children’s book that has been published in the previous year and stands out as a whole, or is extraordinary because of its text or illustrations. On the 4th of December 2018 solo exhibition by Russian artist Olga Ionaitis will be opened at the Estonian Children’s Literature Centre. The exhibition will stay open until the 26th of January 2019. Olga Ionaitis started illustrating 1987 and has altogether illustrated more than 150 books, collaborated with different magazines, participated in several exhibitions and curated exhibitions herself. For her work, the artist has won many awards. The artist’s style is warm, fairy-tale like and highly imaginative. She has illustrated almost all well known fairy tales and literature classics such as Burnett’s Secret Garden and Oliver Twist by Dickens. On the 2nd of December 2018, 100 best children’s and youth books from 2017 were chosen at the 59th Munich Book Fair. Kertu Sillaste’s book Everyone Makes Art Their Own Way was presented among them (translated by Carsten Wilms, published by Kullerkupp Kinderbuch Verlag). Everyone Makes Art Their Own Way, the third book written and illustrated by Kertu Sillaste, explains various types of art and invites children to give them a try. The Munich Book Fair takes place every year since 1959. More than 300 German publishing houses present their books at the fair. 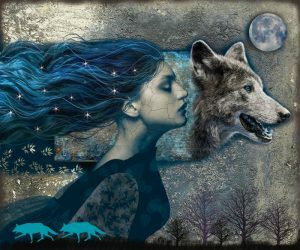 From the 1th of December until the 3rd of January 2019, Mediateka Wrocław in Poland presents the exhibition “Running with Wolves” by Baltic illustrators. 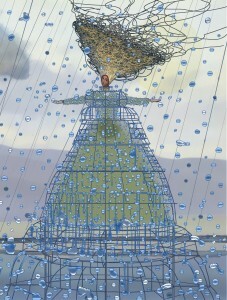 Works by 25 artists from Estonia, Lithuania and Latvia are displayed. The exhibition was prepared for this year’s London Book Fair, where the three Baltic States were invited as guests of honour. Curator Viive Noor invited illustrators to create works with the motifs of a wolf and a werewolf. The concept of the exhibition was inspired by the European Year of Cultural Heritage and by traditional stories collected by Clarissa Pinkola Estés.